Hillsong UNITED is known for such worldwide worship anthems as "Shout To The Lord," "Mighty To Save," "From The Inside Out," "The Stand," "Hosanna," "Desert Song," and many more modern worship anthems sung by tens of millions every week in worship services around the world. 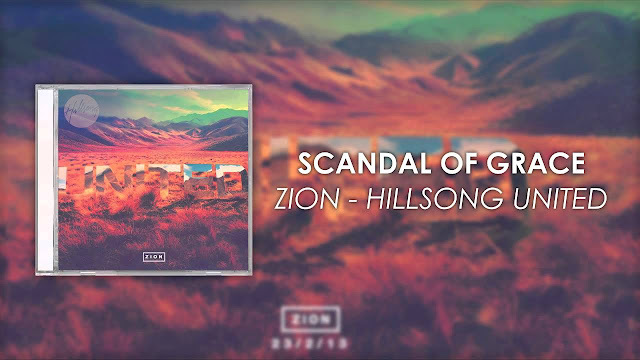 "Scandal of Grace" is an anthem for the efficacy that every believer in the grace of God should have in his/her collection. Joel Houston, a Hillsong UNITED member in an interview with Kevin Davis (an NRT Lead Contributor) said that he co-wrote the song with Matt Crocker. He said he had a conversation with some friends talking about God and one of his friends had some questions about Jesus and the validity of the Gospel. In the midst of the conversation, another friend said, “Mate, it doesn’t make sense; it’s a scandal of grace.” That was what stuck Matt Crocker. He said he came across a scripture in Romans 9:33 “I lay in Zion a stumbling stone and rock of offense, and whoever puts their trust in Him will not perish.” when I was writing the song with Matt. "Scandal of Grace" has really held a deep challenge for me personally. There's a line that says: "Jesus, there's no One besides you." Sometimes it seems easier to put our hope in other people or things. For me, whether that's my family, or the enjoyable things I experience in life it’s easy to put hope in these things. But God calls us and desires for us to put all our hope in Him, because everything else will let us down. I've been really drawn into worship by this song and at the same time very much challenged by it. The key lyric in the chorus is "oh to be like You." That's an impossible statement if not for the grace of God. It's only by the grace of God that we dare to share in His glory. Zion. It's an interesting word, with several meanings and connotations. We read about it, sing about it and even wonder where it is. In Biblical terms it is the hill on which the city of David was built and perhaps where the Ecclesiastical meaning of the highest place, or Heaven, comes from. Zion is precious to the heart of God and it's essentially what Jesus came to establish – Heaven on Earth. God is birthing His kingdom in us and through us here on earth and that is exemplified through what Jesus is about: mercy, love, forgiveness, generosity, justice--all of those things--and that's how we are called to live our lives. We get the chance to be a part of building God's kingdom here on earth.